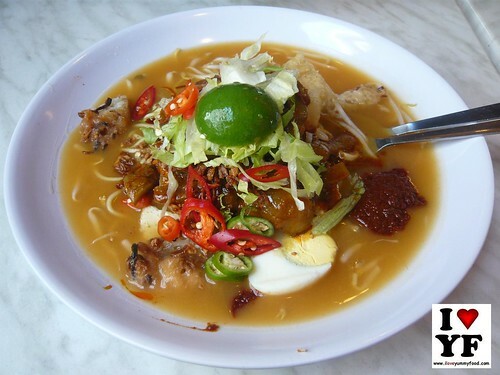 Mee Jawa is similiar to Mee Rebus and it's one of the popular noodle dishes among the Malaysian. 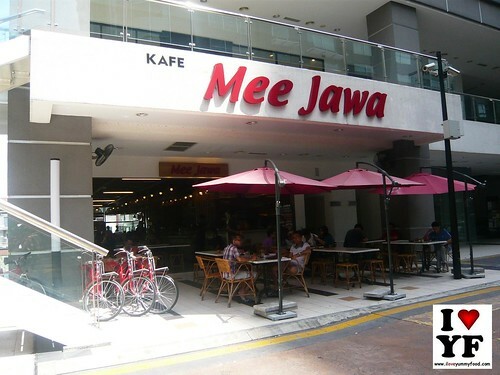 And here is a place for a satisfying plate of Mee Jawa- Kafe Mee Jawa proudly runned by Stephanie Yong the proprietor of the business with a family background of running Mee Jawa stalls. The cafe carries a fusion of traditional and contemporary kampung-style setting with plenty of wooden and bamboo furnitures with bright color wall paint and an airy feeling environment. The restaurant is divided into indoor and outdoor dining area too. 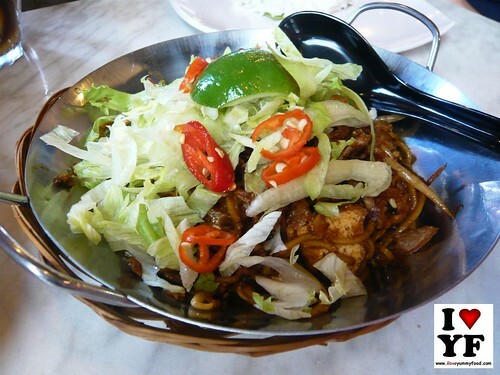 The restaurant serves savory Mee Jawa. 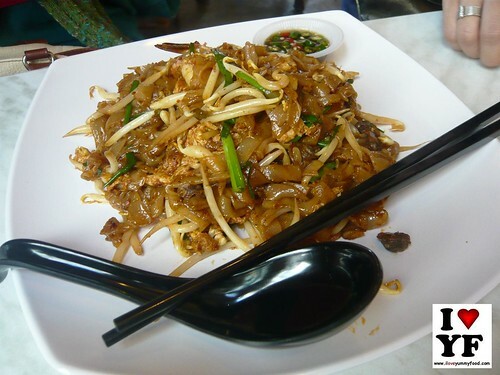 Apart from specialty the cafe offers other noodle dishes as well like fried flat noodles, mee mamak and assam laksa. 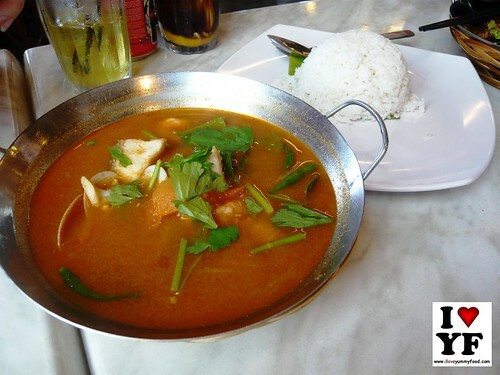 On top of this, rice dishes are served too. Big serving with yellow noodles served with thick potato and tomato gravy topped with hard boiled eggs, pickles, fried tofu, cripies, squid, chopped letuce and chilli paste. Thumbs up!